James Barr, MD, obtained his medical degree in Philadelphia at Hahnemann University, served as Chief Resident at the Somerset Family Practice Residency program, and is an Assistant Clinical Professor at Robert Wood Johnson Medical School. In addition to Family Medicine, Dr. Barr has expertise in Sports Medicine. He also performs various administrative duties related to health care reform including Medical Director for the Central Jersey Physician Network, member of the Horizon BCBS of NJ HMO Board of Directors, and Chairman of the Horizon BCBS Professional Advisory Committee. He speaks and consults nationally on the Patient-Centered Medical Home model. He and his wife, Dineen, live with their two daughters and son in Raritan Township. 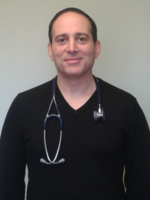 Damian Rigatti, DO, completed his residency in Family Medicine in Johnson City, NY and worked in Washington, NJ from 1994 to May of 2006 prior to joining Pleasant Run Family Physicians. 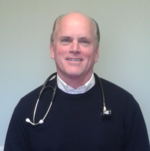 He enjoys all aspects of family medicine including pediatrics and geriatric medicine. He also has a particular interest in Autistic Spectrum Disorders. His hobbies include running, skiing and martial arts. He resides in High Bridge, NJ with his wife and two children. 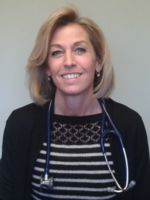 Kimberly Martino, PA-C, joined our practice in early 1997 after working as a Physician Assistant for five years. She graduated from the UMDNJ-Rutgers Medical School PA program which is rated among the best in the country. Like all PAs, Kimberly is trained to provide routine care for all ages, working with her supervising physician in the office. She has a special interest in Urgent Care, which means taking care of people's acute illnesses. She grew up in Readington Township, and lives in Clinton Township with her husband, Craig, two daughters, and one son. 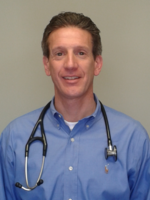 David Bittone, PA-C, is a board certified Physician Assistant. He joined the practice in 2009. He graduated in 1998 from UMDNJ/Seton Hall University with a Masters Degree in Physician Assistant Studies. He brings with him, seven years experience in the field of Allergy and Asthma, and more than three years prior experience in Urgent Care/Family Medicine. David is on staff at RWJ at Somerset. Prior to becoming a Physician Assistant, he worked as Paramedic for 8 years in Newark and Elizabeth as well as Somerset County. He is a current member of the American Academy of Physician Assistants and the New Jersey State Society of Physician Assistants. His area of special medical interests are in the treatment of chronic seasonal allergies, sinusitis and asthma (both pediatric and adult), as well as the treatment of most skin disorders, such as contact dermatitis and hives. He also has an interest in urgent care, including lacerations that may require simple suturing. Lindsay Dellavalle, DO, completed her medical school at New York College of Osteopathic Medicine in 2007 and her Family Medicine Residency at Carl R. Darnall Army Medical Center in 2010. She then was a Brigade Surgeon for 2 different units at Fort Hood Texas. She still is active in the Army National Guard as a military physician. She has since relinquished her time on Active Duty to return to her home town, having grown up in East Amwell Township and Alumni of Hunterdon Central High School. 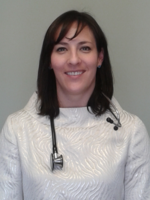 She enjoys all aspects of family medicine, but has a particular intrest in women's health and sports medicine. She resides in Pittstown, NJ with her 2 young children.